Some kinds of pain can be buried for a while, but they do not die. Inevitably, aches and agonies that have been suppressed and repressed emerge stronger than ever, carrying the heartache of the past into the future. Claudia Campbell knows this full well. Ten years previously, Claudia had been a high school student who witnessed the shooting death of her beloved teacher and friend, BJ Remington, on the school bus stopped at the local railroad crossing. BJ died of massive blood loss because the bus was stuck waiting for a train to pass—emergency vehicles could not get through. The murderer was never found and the case languished for years. Now, Claudia’s husband, Victor, an assistant district attorney, has reopened the case, a decision that sends Claudia into a free fall. She cannot bear to relive that day. But old friends who were also on that bus have re-entered her life, and they join forces with Victor to find justice for their beloved teacher. Officer Casio Hightower had been a star quarterback anticipating a successful future until a bullet ended his career. He hopes the truth will help him overcome his own demons, which have driven him to abuse the woman he loves. As the renewed investigation uncovers new evidence and moves closer to determining the shooter, Claudia and Casio unearth a series of secrets within their families. The present, they learn, is more a product of the past than they ever suspected. Both of them are challenged to forgive, to humble themselves, and to make peace with that awful day ten years earlier. Can they do it? 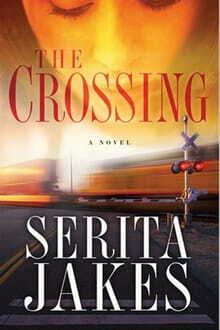 Author Serita Jakes has written an intriguing mystery that keeps readers guessing regarding who might have shot BJ. She also excels in her portrayal of abuse, both physical and emotional, and possible manifestations of post traumatic stress disorder (PTSD), from which Claudia suffers. She doesn’t give easy answers to difficult questions but makes readers think . . . and want to turn the page. The most effective technique that Jakes employs involves beginning each chapter with a flashback to the shooting. But most intriguing is the point of view—we hear BJ’s thoughts as she lay on the floor in an enlarging pool of her own blood. Through BJ, we learn important clues in a timely manner. But most importantly, BJ is consumed with the spiritual impact. She knows she is dying, so her concerns related directly to Jesus, her family, her students (especially Claudia), and the shooter. Those scenes pack an emotional punch and bring focus to the primary themes that the author wants to communicate. Another strength to this well-paced story is the character development. The major characters are interesting, imperfect, likeable and unlikeable. The bad guy, while seemingly under-developed—he’s just mean and self-absorbed—really just reflects the reality of many people. There really are people like him out there, as ugly as that may sound. So even in this character, Jakes echoes life. I hope Jakes continues writing fiction. She’s produced a credible mystery wrapped around themes of good and evil, grace and truth, forgiveness and love.